A fun and easy way to choose a wedding cake is from portfolios of beautiful wedding cake designs already developed by the bakery. Another option is to sit down with a designer to implement your own wedding cake ideas and create a personalized wedding cake that symbolizes you and your fiancé. Set up an appointment to meet with a specialist, sample the cakes, and look over their work to decide what best represents you. If you are in need of a wedding cake Portland, Oregon and Southwest Washington have numerous options of wedding cake bakeries that want to provide you with the wedding cake of your dreams, a cake wedding guests will all love! JaCiva’s Bakery and Chocolatier is a local family business that has been specializing in custom cakes and deserts for 30 years. The Pie Spot is a local, woman-owned business in Northeast Portland. At Shedevr Dessert Elegance, we are interested in only one thing and that is making your special event - special! 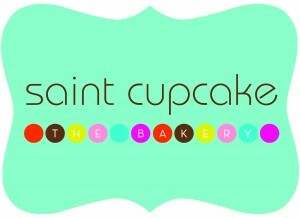 Cupcakes, cakes, sweet and savory treats, Melty Goods ice cream, Poplandia artisan popcorn and more. We bake goodies daily. "I think you guys are magical gluten-free elves... You CAN'T EVEN TELL these are gluten-free!" - Candace Nelson, Judge on "Cupcake Wars"